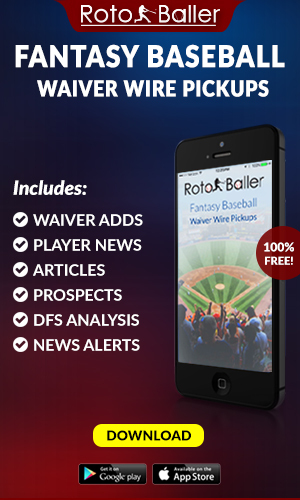 Editor's Note: RotoBaller is proud to be partnering with FantasyScore, our exclusive DFS partner. 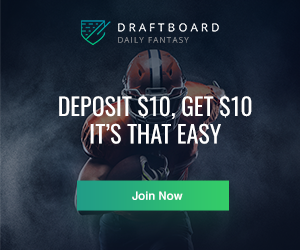 As a subsidiary of the USA TODAY Sports Media Group, FantasyScore has come to the daily league fantasy sports table with some exciting new promotional offers. 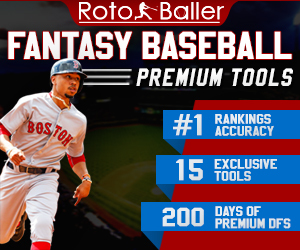 For RotoBaller rea ders, FantasyScore is offering an instant 50% deposit bonus up to $250. No other DFS site offers an instant match bonus like this! 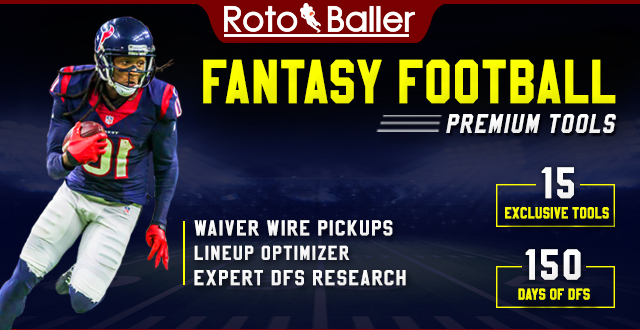 It's week 16, and just like all weeks past, I am here again week to help you identify several players to consider inserting into your DFS lineups. By identifying which players have good Week 16 matchups in relation to their prices on FantasyScore this week, we can hopefully find some DFS sleepers who can help you win. Good luck in Week 16, RotoBallers! QB: Josh McCown ($4,300): Since returning to the starting role in Tampa, Josh McCown has been a serviceable fantasy quarterback. In those six starts he has at least one touchdown pass in five of those games while putting up two in three of them. Along with that his yardage totals have been solid as well with four games over 250 yards from week 10 on. McCown has clearly benefitted from the emergence of rookie Mike Evans to help him score 18+ fantasy points in five of his la st six starts. For only 8.6% of your salary cap McCown provides a known quantity against a poor pass defense in Green Bay. RB: LeGarrette Blount ($4,500): This pick is not for the faint of heart as taking a New England running back has as much chance to put up 20 as he does 0 fantasy points. That being said, Blount seems to be the lead dog for the Patriots over Shane Vereen given that he has 50 carries and 4 receptions over the past four weeks. Despite not hitting 100 yards in any of those games, Blount has found the end zone three times while scoring 9.70 fantasy points or more in three of four games. The Jets defense will scare away some teams, but given that the Patriots need a win to help ensure home field advantage, expect them to pour it on the lowly Jets and score well over 30 points. Blount has as good of a chance as anyone to be a big part of that. RB: Lamar Miller ($6,000): Miller is not necessarily a huge value play at $6,000, however he's a back that gets consistent carries, at home, and in a must win game. He has double digit carries in all but one game this season and has complimented that with at least one reception in every game this year. On the season Miller has averaged 12.83 fantasy points per night which would give him at least 2X value in this game. With the emergence of deep threats Jarvis Landry and Mike Wallace, the underneath game should be open which is where Lamar Miller thrives. Expect close to 100 total yards and a score for the Dolphins back. WR: Sammy Watkins ($4,600): Through eight weeks Watkins looked like he was going to be a great asset for the Bills, but since that week he appears to have hit the rookie wall. Since week 10 Watkins only has one game over 10 fantasy points but has still seen over 5 targets in last eight games for the Bills. Because of his struggles, the former Clemson standout has seen his price fall all the way down to the point that it is hard to avoid. Kyle Orton does not have the most powerful arm in the league, but the team clearly wants to get Watkins involved in the offense, which should be easy to do against a Raiders team that has issues on every level of their team. WR: Stedman Bailey ($3,400): Bailey has been the opposite of Watkins in that through week 10 he only had 5 receptions, but from weeks 11-15 he has a solid 19. Outside of week 14, Bailey has lead the team in receiving in three of the past four weeks including a 100 yard game two weeks ago against Oakland. Even against a stellar Cardinals defense, Bailey posted 5 receptions and 74 yards on 8 targets. The match-up will get considerably easier this week against the Giants. For a near minimum salary, he should put up at least a few receptions and 50 yards with the upside for 100+ yards and multiple touchdowns. 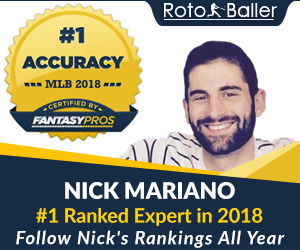 Editors Note: RotoBaller's exclusive DFS partner, FantasyScore is offering RotoBaller readers an instant 50% deposit bonus up to $250. No other DFS site offers an instant match bonus like this! TE: Owen Daniels ($4,400): Revenge game alert! Daniels, along with former Texans coach Gary Kubiak, will take on Houston in a must win game. Although his production has been a bit erratic, Daniels has at least 2 receptions in all but one game this year while hauling in 4 touchdowns. Kubiak has always loved Daniels as a player, and quarterback Joe Flacco has confidence in him, especially in the redzone. Coming off of a 4 catch, 62 yard and touchdown game last week, Daniels has as good of a chance as any tight end to be the top scorer at his position. DEF: Panthers ($2,600): In case you were sleeping under a rock the last week, Johnny Manziel started last week for Cleveland and it was an absolute disaster. This week the Panthers get the pleasure of facing the rookie who threw two interceptions last week. In the last four games Carolina has 10 sacks and 2 interceptions which should be boosted this week. Expect to get double digit points from the Panthers in this one which gives you 4X value for near minimum salary.